I am going to start this section of books reviews with possibly one of my favorite guitar books. The Advancing Guitarist by Mick Goodrich. This is a book that you can pick up at any level, and learn something. 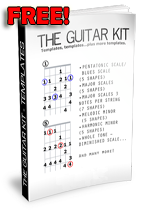 Mick’s approach is very mathematical and often in this book goes through any possible combination of elements (notes, fingerings…) for you to fully explore your instrument and your music knowledge. 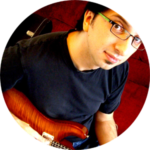 The book goes through many different topics, from technique to advanced harmonic concepts (quartal harmony, use of superimposed triads and so on), Rhythmic concepts and also spends quite some time on self criticism. This last thing in my opinion is the strength of this book: it makes you think, and it makes you make the conscious effort of improve on every level. This is not a book that you’ll go through once, and forget about. I personally pull this book out every so often and still find things that I put straight into my playing. Highly recommended if you are serious about your playing. 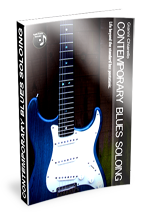 February Promo for ‘Contemporary Blues Soloing’ Ebook – Buy £5 only!